The gameplay of Shin Up: Climb Game is simple. You have to shin up to rooftops and you’ll be rewarded. The more heights you’ll conquer, the more you’ll rise in your levels. 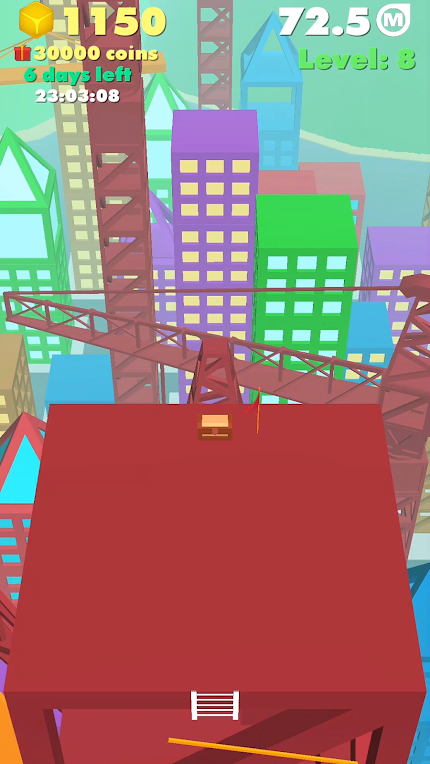 On the way, you’ll have to face obstacles that will add to the excitement of the game. On the way up, you’ll find moving ladders and spinning lifts, which you can take help of to climb up to the heights. There would also be a wandering brick which you should not touch; or else, you’ll have to start the game all over again. Also, if you fall down, you’ll have to start the game from the beginning. Due to its superb design, graphics, mechanics and audio, Shin Up has become very popular among mobile gamers. Gamers find the jumping extremely fun and the game is perfect as a pastime while waiting in a doctor’s reception room or in a queue or even on the go. Play Shin Up and see if you agree! 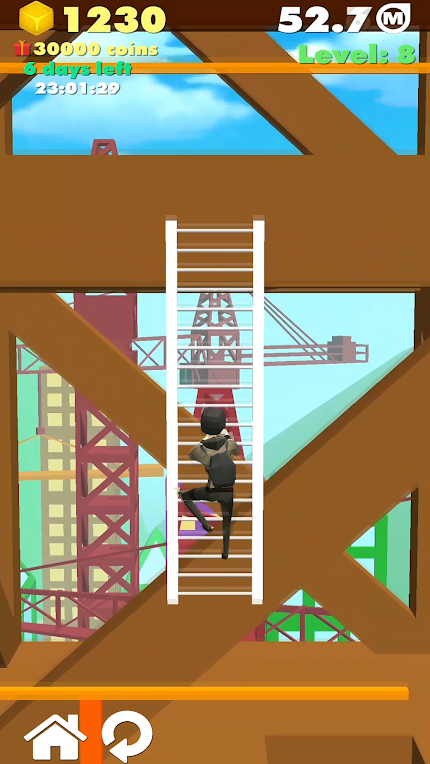 Moreover, there are hardly any other climbing games like Shin Up, so much fun and perfectly designed. So, it stands out from the crowd. If you play Shin Up, you’ll realize that you haven’t played such a nice game of late. It’s almost sure that you’ll become a great fan of this game. So, what are you waiting for? Download Shin Up: Climb Game and start playing. It’s available on Google Play.